When it comes to marketing a large organization or small startup, the issue is always the same: How do I divvy up and stretch my budget to make sure we meet our goals and utilize all of our channels effectively? This leads to prioritization of tactics, tools, and promotion channels based on costs and required resources. Mobile today is battling for budget and attention in the multi-channel company. Even after you’ve gotten the buy-in for app development, have created and launched a great app, you’re still required to prove the need for budget to conduct effective app marketing. Launching an app is a huge win – but it’s only the first step. To be truly successful, you need to invest in your app just as you would in other marketing channels. Typically, this money might go to traditional tactics (think large-scale advertising) or known performers like email marketing. It’s easy to overlook the need for additional app spend when it’s the newest channel in the fold, and has yet to prove real ROI. But apps are at the forefront of a new trend in customer engagement: Meeting the customer need anywhere, at any time, and in any context. It’s no longer just about promoting your brand, it’s about utilizing the tools that create customer loyalty through great experiences. Not investing in your app marketing means not investing in the way your customers are demanding interactions. 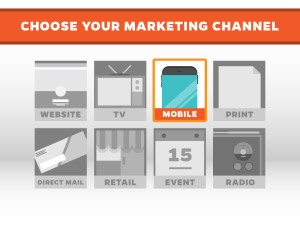 Accomplishing this doesn’t mean diverting the majority of your marketing spend to your app marketing. It does mean that a portion of your marketing budget has to be invested in app success. Luckily, this investment has an easy-to-calculate ROI, and should actually be saving you marketing dollars in the long run. How? Here, we break down the various ways your app can improve the return of your marketing budget. 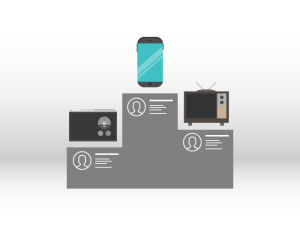 Your app isn’t just a way to connect with current customers; it’s a channel that generates new ones. Your app should serve a distinct purpose, and it could be that purpose – and not your brand – that the user needs and identifies with. This means that people completely unfamiliar with your brand can start engaging with you primarily because your app meets a need of theirs. Your app can serve as an introduction to your company, and if it’s well developed and user friendly, you can and should gain new customers. Instead of spending more money on an awareness channel, spend it on a lead generating one a see more bang for your buck. Apps are task-oriented, which means they allow users immediate action no matter what they need to accomplish or when. That aligns with today’s customer expectation: I can get what I want in my immediate context and moments of need. Meeting this expectation often means you immediately establish trust and utility. Here’s the perfect example: A traveler is booking and confirming his upcoming flight. Based on his timeline and context as a consumer, his needs and motivations change – what he needs out of an app experience two weeks before his flight will be different than those two hours before his flight. If your app can meet his changing needs, he’s incredibly likely to become a loyal user. When the customer has a good experience, he’ll come back again – which is the best way to retain users and reduce churn. Here, the fact that you have a great app is what is ensuring that customer spends money with you, again and again. Remarketing campaigns can benefit you in two ways. Firstly, they allow you to target one-time app users outside of the app with calls-to-action to come back to the app, or to visit other brand entities like your website. Remarketing provides another channel to engage users outside the app by targeting through Facebook, Twitter, and any other mobile advertising network. This negates the (high) risk of early app abandonment, and makes sure your acquisition spend doesn’t go wasted. Secondly, you can use your app analytics to export user data to ad partners and create “look-alike” audiences to target. This allows you to choose a segment of high-value users, and replicate their key attributes in another target audience, improving your ad spend substantially, and lowering the chance of paying to acquire high-churn users. When users interact with your app, their actions give you clear insight into what they want their experience to be, or what they’re trying to accomplish. But more than that, you can use your app and your mobile analytics to gather, store and analyze user attributes and information about your buyers. Once you’ve acquired a user and implemented an analytics tool, you don’t have to pay to discover this information – it’s simply there and ready to help you run smarter targeted campaigns and better understand your users’ actions and preferences on this highly-personal channel. When thinking about traditional marketing channels, awareness-based ones like print or TV ads come to mind immediately. This form of marketing has the potential to reach thousands of people – a wide range of possibility to get more brand recognition and attract more customers. The downfall of awareness campaigns is that they typically require ad spend to reach more and more people – and that they can be difficult to track. When it comes to app marketing, you have tools like push and in-app messaging in your arsenal to engage your current users, improving their loyalty and increasing their lifetime value (LTV). Increasing LTV is a functional of creating more and easier opportunities for in-app purchases or other conversion events that make your app successful and contribute to ROI. By investing budget in engagement, you’re concentrating your money on keeping your current customers buying, instead of spending it on general awareness. While both are important to a healthy marketing ecosystem, investing in app engagement will give you more concrete results for less. Your marketing budget is affected by many elements, including your organization’s overall budget and which department gets what. While it’s not directly related to marketing spend, you have the capability in using app marketing to gather a product backlog without spending a dime. Running NPS surveys and using App Store reviews saves time and resources when improving the app – because you have user feedback on how the app should be worked on right at your fingertips. This makes your product team more effective at launches, and takes the guesswork out of what’s worth the investment and what’s not, feature-wise. Instead of investing product manager time to research and discover next steps for your app roadmap, you can use these campaigns to build a backlog and become more efficient. More money saved means more money to invest in other areas. Brick-and-mortar locations require substantial budget to maintain and make successful. Your app can be the catalyst for creating more in-store interactions and boosting purchases, improving the return of your brick-and-mortar marketing spend. Using geo-location, you can target nearby users and send them a push message encouraging them to visit your store, providing a discount, or highlighting a new offer; essentially doubling down on the efficiency of your in-store marketing spend. In doing so, launching a simple push message can be more influential than printing banners and creating other in-store marketing materials – not to mention more cost-effective. Plus, it can help divert attention from competing stores; if you’re the ones engaging customers, you’re the ones who are going to win. It’s difficult to use most marketing channels to predict customer churn, or to gain a sense of when users might stop buying from you – there simply isn’t the tracking capability to do so, which means that you could continue to spend on marketing initiatives that are reaching churned customers who are already familiar with your brand, and uninterested. App marketing is about to change this. 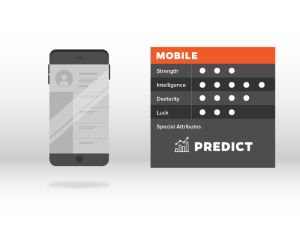 With the introduction of predictive app marketing, we have the capabilities within mobile to identify users that are giving you the first signals that they could become a churn risk, so that you can re-engage them before you have to win them back. This proactive marketing saves you from losing customers, and losing money. Think of your app as a larger piece to the revenue puzzle, and it soon becomes clear that investing in mobile spend means improving ROI, creating loyalty, and discovering ways to get more out of your budget. The key to doing this successfully is by implementing an app analytics and marketing tool that enables you to create a better mobile experience and meet customer expectations. In doing so, it will soon become clear the many ways your app furthers your brand, and proves that mobile is worth more attention.